It was pretty quiet and the shopping was easy too. Where to find Grove City hotels near an airport? How can I find hotels in different Grove City neighborhoods? Where can I find hotels in Grove City that are near tourist attractions? You will find yourself spoiled for choice when it comes to finding quality accommodation in Grove City. About 20 accommodations are within a 0.1-kilometre (0.06-mile) radius of Grove City's heart. 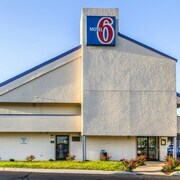 Some of the hotels that are not all that far from downtown Grove City are the Star City Inn & Suites and WoodSpring Suites Columbus Urbancrest. Travelers on a budget will be happy to learn that there's a nice range of lower-priced accommodations in the vicinity of Grove City. 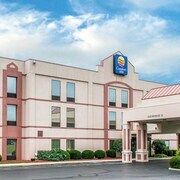 5 kilometres (3 miles) away from Grove City's center you'll find the Travelodge Grove City/South Columbus. 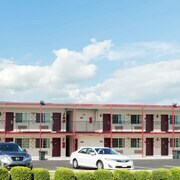 The Red Roof Inn Columbus - Grove City is just 6 kilometres (3 miles) away. Additional lower-cost accommodation options are the Days Inn Grove City Columbus South and the Quality Inn Grove City - Columbus South. You could try the Renaissance Columbus Downtown Hotel and the Hilton Columbus at Easton. The Renaissance Columbus Downtown Hotel is situated 14 kilometres (9 miles) from downtown Grove City. The Hilton Columbus at Easton, is positioned 25 kilometres (16 miles) away. Two other places to stay include the Hilton Columbus Downtown and the Residence Inn Marriott Easton. New Albany is 35 kilometres (22 miles) to the northeast of Grove City and is home to the Winding Hollow Golf and Event Center and Hayley Gallery. 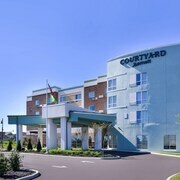 The Courtyard Columbus New Albany and Hampton Inn & Suites New Albany Columbus are some of the accommodation options in New Albany. 16 kilometres (10 miles) to the northeast of Grove City, you'll find Near East Side, which is home to the Hampton Inn & Suites Columbus - Downtown and Crowne Plaza Hotel Downtown - Columbus, Ohio. The Lincoln Theatre and Columbus Near East Side Historic District are just some of the more popular points of interest to check out in Near East Side. If you enjoy sports and enjoy watching games you might decide to take a trip to Columbus Crew Stadium, which is 18 kilometres (11 miles) to the northeast of Grove City. Sports fans wanting to sleep close to the action can take their choice from the The Lofts Hotel or the Residence Inn by Marriott Columbus Downtown. Port Columbus International Airport is a nearby airport for flying into and leaving Grove City. It is 25 kilometres (15 miles) drive away. If you plan to stay nearby, try the Hilton Garden Inn Columbus Airport or Four Points by Sheraton Columbus Ohio Airport. What are the most popular Grove City hotels? Are there hotels in other cities near Grove City? What other types of accommodations are available in Grove City? Explore Grove City with Expedia.ca’s Travel Guides to find the best flights, cars, holiday packages and more!